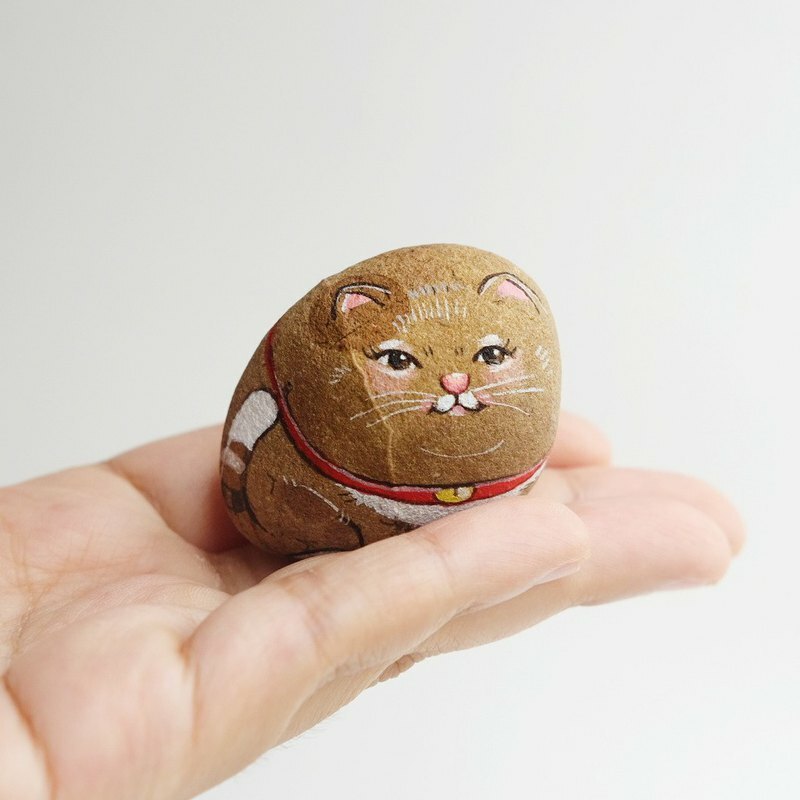 little Cat stone painting.original art and unique gift. "Free form of stone cause to make imagine” that thing nature give to us, when I see then get imagine such as we look at the sky and see the cloud look like the animals. when I choose one stone in my hand and see it look like image in my head and I cannot wait to draw it ,and when image in my head become real on my art,therefor stone art of Is.ideastone has unique of special gifts for special one. Product Including -Stone paint 1 piece size 5.5x5 cm -Paper box package size 10x10 cm -Wood base -waterproof every works of Is.ideastone can standing with itself,then consumer can free display such as,on working desks or showcase. Example of packaging. https://c1.staticflickr.com/1/345/32115712540_edfdb99b10_b.jpg https://c1.staticflickr.com/1/517/31650821254_8e58b36209_b.jpg Shipping by Thailand Post. consumer can check status of product all the time. Paper Boxes Packaging.